MAPS™ IuPC Interface Emulator Software (64-bit Only) | Coming Soon! Accurate location services find its use in many public operations such as emergency services, vehicle tracking, stolen assets tracking, advertising, and social networking. Location Service is used to estimate the geographic location of a Mobile Station (MS) and/or valid Mobile Equipment (ME), expressed in latitude and longitude, represented in a well-defined universal format. LoCation Services (LCS) architecture follows a client/server model with a positioning node acting as the server providing information to external LSC clients. In the LCS network, GMLC (Gateway Mobile Location Centre) is the positioning node and centre point of the architecture that holds the position information by communicating with other network elements within the network. All LCS clients communicates with this node to request positioning information. Additionally, UMTS network includes separate node, Stand-Alone SMLC (SAS) that connects to RNC over IuPC interface, which carries out positioning functions and exchanges PCAP signaling messages. 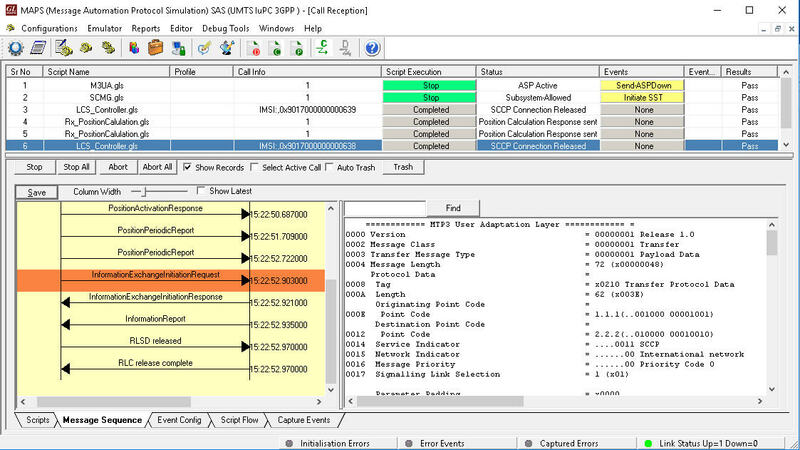 GL’s Message Automation and Protocol Simulation (MAPS™), a general-purpose platform for emulation of communication protocols, supports simulation of location service operation using PCAP (Positioning Calculation Application Part) protocol between the Radio Network Controller (RNC) and the Stand-Alone SMLC (SAS) and the associated signaling procedures as per 3GPP TS 25.305 specification. MAPS™ IuPC (Item # PKS153) for UMTS IuPC interface in LCS network. 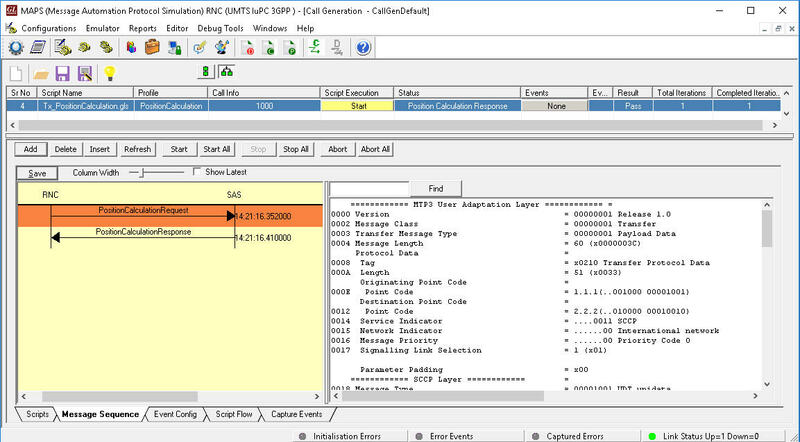 PCAP (Positioning Calculation Application Part) protocol is a functional part of SCCP handling the messaging between RNC and SAS. 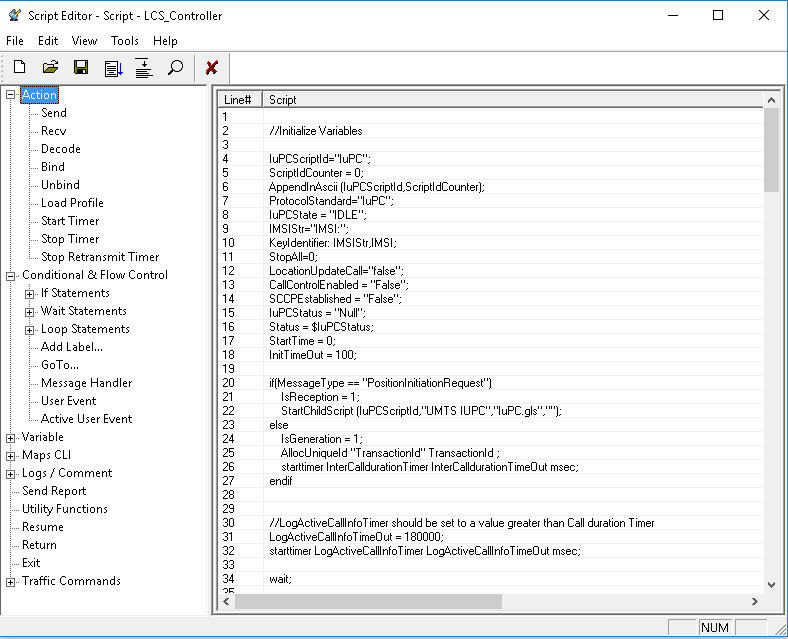 PCAP contains messages and parameters specific to support LCS over M3UA/SCTP and SCCP in IuPC interface of UTRAN. Typically, RNC initiates position initiation request to obtain the position (non-periodic or periodic) of a UE using the SAS centric mode of operation. 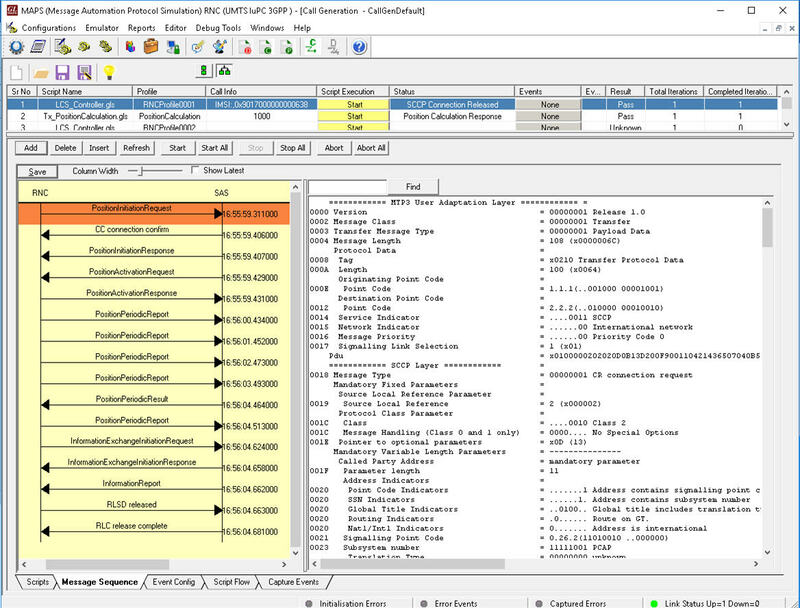 Position Activation procedure enables SAS to initiate a particular positioning method used for an individual positioning event. Periodic Position Report is sent with measurement information or UE position estimate from RNC to SAS. 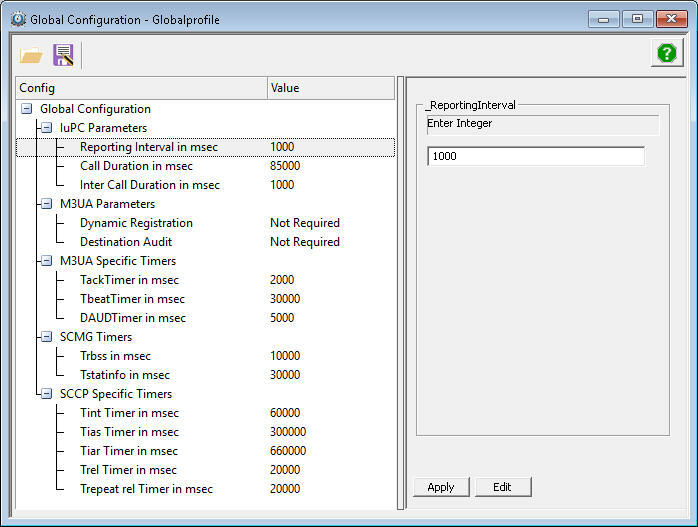 Information Exchange procedure is also enabled, where RNC requests for a specific GNSS (GPS or GANSS) related data from SAS at regular intervals. The connection-oriented service of the signalling bearer is established in conjunction with the above procedures. MAPS™ also supports simulation of other entities and interfaces involved in Location Services 2G, 3G, 4G architecture with the following MAPS™ suite for LCS - MAPS™ SLh between GMLC and HSS, MAPS™ SLg between GMLC and MME, MAPS™ LTE SLs between MME and E-SMLC, MAPS™ Lg between GMLC and MSC, MAPS™ Lh between GMLC and HLR, and MAPS™ GSM Lb between BSC and SMLC. PCAP (Positioning calculation application part) protocol is used for signalling message exchange over the IuPC interface. 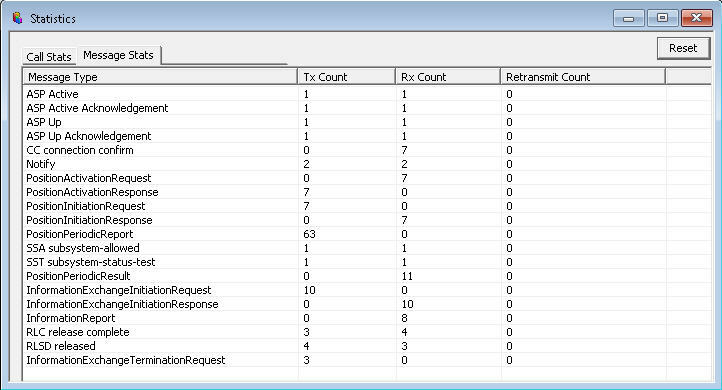 Provides protocol trace with full message decoding of the PCAP signalling messages. The IuPC interface enables RNC and SAS to exchange information that is related to the positioning of a single UE. These exchanges involve the transfer of UE Positioning measurement data or UE position estimate data. The SAS calculates the position estimate of the specific UE and returns this result to the RNC. 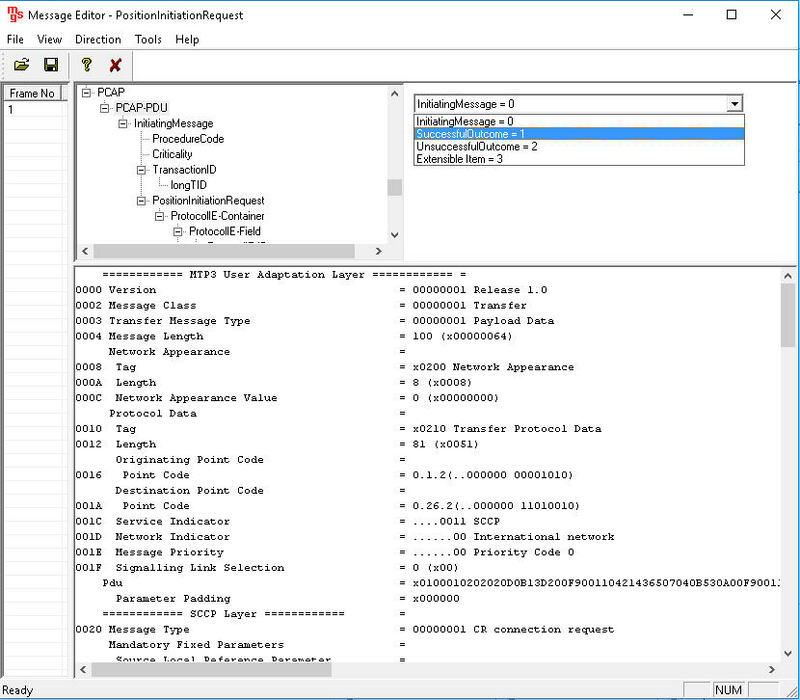 Position Calculation Request Procedure MAPS™ IuPC interface emulator can be configured as RNC (Radio Network Controller) initiating the procedure by sending PCAP Position Calculation Request message to the SAS (Standalone SMLC) to obtain the positioning of the target UE. 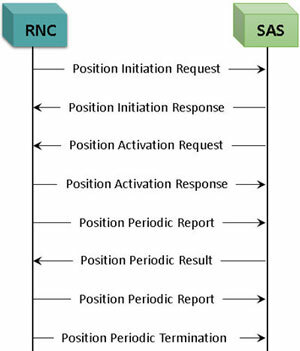 Position Initiation - This procedure is used by RNC to request from SAS the position (non-periodic or periodic) of a UE using the SAS centric mode of operation. 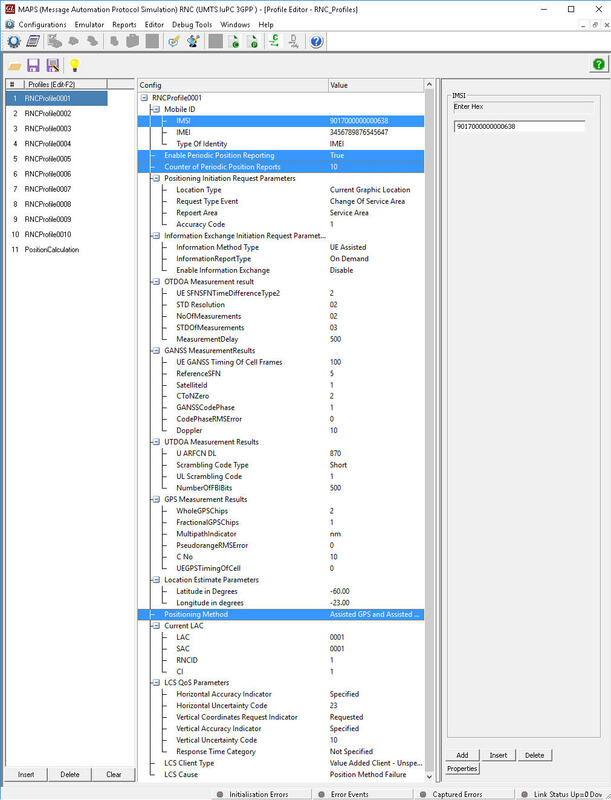 Position Activation - enable SAS to initiate positioning method used for an individual positioning event. Position Periodic Report - send measurement information or UE position estimate from RNC to the SAS periodically. Position Periodic Termination - request termination of an ongoing periodic location, or to inform a node about termination of periodic location in SAS-centric mode. 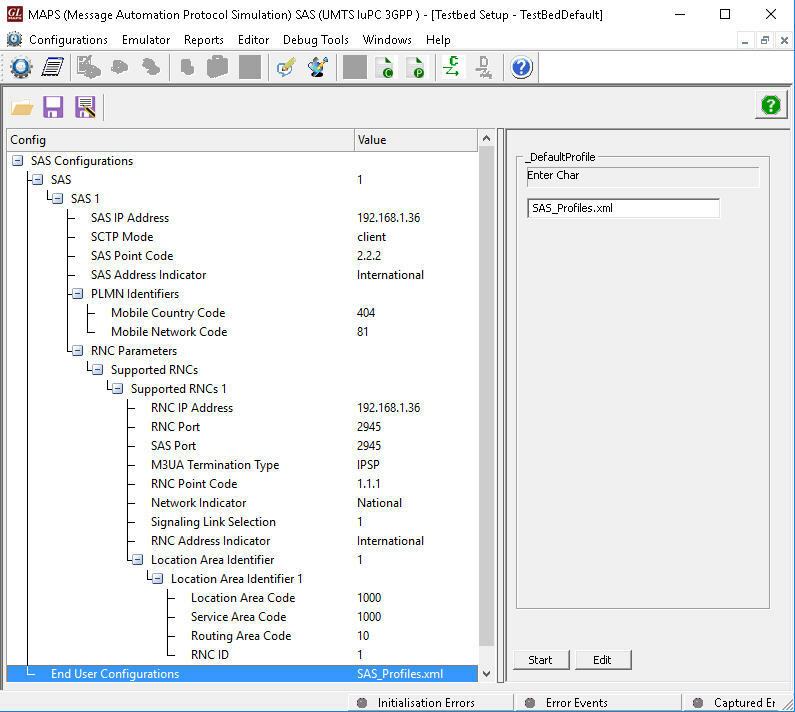 MAPS™ IuPC interface emulator can be configured as RNC (Radio Network Controller) initiating the procedure by sending PCAP Position Initiation Request message to the SAS (Standalone SMLC) to obtain the positioning of a single UE. Information Exchange Initiation - RNC requests initiation of an information exchange with a SAS. Information Reporting - SAS reports the result of information requested by RNC. 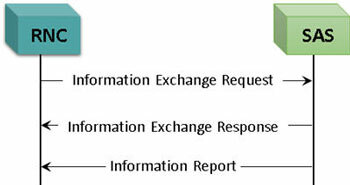 Information Exchange Termination - used by RNC to terminate the information exchange requested. Information Exchange Procedure MAPS™ IuPC interface emulator can be configured as RNC (Radio Network Controller) initiating Information Exchange procedure with SAS (Standalone SMLC).